As we watch the environment around us get more and more polluted, it is imperative that we protect our organs and living cells from the damage these environmental toxins cause. When I say ‘protection’, I mean using the simplest and most basic form our bodies have adapted to, by a process of millions of years of evolution and environmental stimulation. I definitely do not mean a way that humans invented in the last century; a slurry of chemicals and compounds that contribute even further to the overwhelming load of acquired toxins in our tissues. The form I am talking about is as simple as using the very foods we eat and the herbs we see growing around us! I have compiled a select list of herbs and natural compounds that I have researched for helping remove heavy metals from the body. Heavy metal poisoning can be a very harmful malady. It is a major cause of hormonal imbalances, cancer, thyroid problems, neurological disturbances, learning problems, depression, food allergies, parasites, etc. 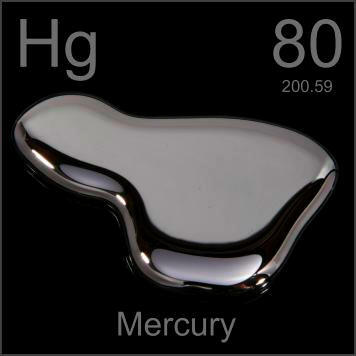 The two most common types of heavy metals are mercury and lead. Both are used industrially and in many products in our daily lives. It is no wonder certain cancers and other health problems associated with heavy metals have risen due to increased exposure. Here is a list of some common ways humans are exposed to mercury and lead. Soil: Lead particles that settle on the soil from leaded gasoline or paint can last for years. Lead-contaminated soil is still a major problem around highways and in some urban settings. Household dust: Household dust can contain lead from lead paint chips or from contaminated soil brought in from outside. Pottery: Glazes found on some ceramics, china and porcelain can contain lead that may leach into food. Toys: Lead is sometimes found in toys and other products produced abroad. Traditional cosmetics: Kohl is a traditional cosmetic, often used as eyeliner. Testing of various samples of kohl has revealed high levels of lead. Lead in paint: Lead paint was used up until 1978 for homes, children’s toys, furniture, and more. Most lead poisoning in children results from eating lead-based paint chips. Imported canned goods: lead solder in food cans is banned in the United States but it is still used in some countries. Power-plant combustion, of which coal-fired power plants are the largest aggregate source (40% of U.S. mercury emissions in 1999). Gold production and mine tailings. The three largest point sources for mercury emissions in the U.S. are the three largest gold mines. Non-ferrous metal production, typically smelters. Waste disposal, including municipal and hazardous waste, crematoria, and sewage sludge incineration. Many people know it as a peppery herb in Thai or Mexican food, or something green for garnishing a tasty dish. 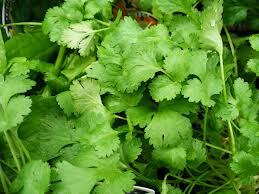 Cilantro is also known as Chinese Parsley. Process the cilantro and flaxseed oil in a blender until the coriander is chopped. Add the garlic, nuts and seeds, dulse and lemon juice and mix until the mixture is finely blended into a paste. Add a pinch to sea salt to taste and blend again. Store in dark glass jars if possible. Zeolite is a naturally forming microporous, aluminosilicate mineral combination that is found in rock deposits around the world. I purchased zeolite clay as it has been scientifically proven to bond and chelate to heavy metals as it has negatively charged ions and attracts the positive charge of heavy metals such as mercury, cadmium, lead, arsenic and others. The same holds true for other agents I mentioned and is the backbone of how they bond and chelate these metals from the liver and other bodily tissues, directing them towards the kidneys. We ordered this clay in capsule form, just for the sake of not having to taste it. It is grey and looks a little like concrete powder. After taking one or two capsule per day for over a month, we ran out. We then ordered some in the powder form and the smell and taste are much stronger. Mixing it with water tastes like crushed gravel… I feel like there is a great similarity to the benefits of Benonite clay, another clay which also helps to bond to toxins in the body and excrete them. I took this in conjunction to the other herbs and greens I listed. 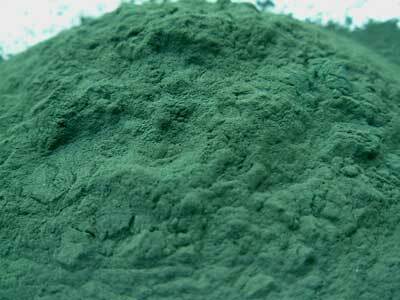 Chlorella and Spirulina or some of the oldest, single-celled algae organisms on the planet. Chlorella contains proteins and peptides which are compatible in our bodies to bind to these substances and carry them out of the body. The key point to purchasing a brand or grade of algae is to understand the water or source of where they were grown. The same role that all these other chelators play with binding to positively charged ions, such as heavy metals, takes place with spirulina and chlorella. If the water they are grown in is exposed to high levels of toxins, pesticides, herbicides, etc., they will bond and accumulate contaminants in the final product. That is why it is very important to source organically, and if you can, away from China/Japan sourced algae due to their industrial infrastructure and Japan’s radioactive output (fukushima). When you open a container of either of these ‘greens’ powders, you will instantly smell a fishy, seaweed taste, and a little ocean as well (chlorella being a little stronger). A great way to consume these powders is in a smoothie or mixed in a vegetable/fruit juice. I usually take about one or two Tablespoons/day in my morning smoothies for the chelation properties as well as the chlorophyll, proteins (over 62% by weight), minerals and vitamins. 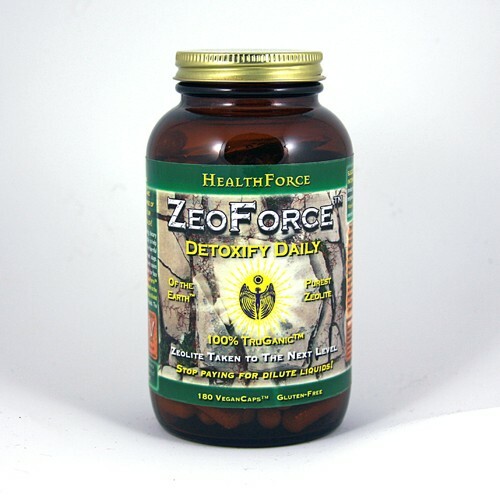 Another common herb that helps with heavy-metal detoxification is yellow dock. This herb, a potent alterative and blood purifier, has deep, strong roots that absorb lots of nutrients and are very high in iron. 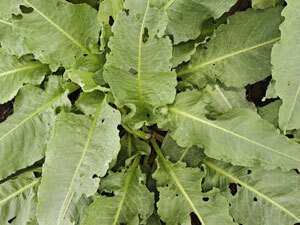 Unlike Gobo or common burdock, whose roots are used as alteratives, yellow dock’s young leaves are used. You can add them to salads after boiling and rinsing the leaves multiple times to remove as much oxiliac acid as possible. The alterative abilities of dock are helpful with binding to heavy metals and stimulates the liver to release heavy metals and process through the kidneys. I harvested some seeds I found and identified wild last season. We hope to have a small planting in our garden for easy access, although it grows very rampant and is easily identifiable in the wild. – I have tried using these for chelation as I have spent a long portion of my youth painting for summer jobs and doing construction work. I realized how serious it is to have absorbed so much potential lead dust and other heavy metals from this form of work. I decided to get my blood tested for heavy metal levels and the results came back very low. Although far below the “low” level on the blood test, there was still a number. I felt uneasy about knowing I had lead floating around in my blood and felt it was simple enough to include some herbal helpers in my diet. These are all easy to find and incorporate into ones daily diet and they all have many other amazing benefits built in for your health! Excellent stuff Adam! Very informative; heavy metal accumulation is something that is all to easy to overlook but could potentially be contributing to various complications that could cause trouble down the road. Very true about yellow dock; which is also called curled dock, in reference to the wavy and crinkled edges of the leaves. This is a distinctive field I.D. because there are at least a half dozen other Rumex species that you are likely to encounter in the wild. All of them can be used medicinally, but this species is the most often used and has been chosen for scientific investivations. The sliced and dried roots can be steeped in alcohol to make a wonderfully cleansing tincture that can help prevent liver disorders, enhanse sluggish digestion and clear up skin conditions; all on top of removing contaminates from your blood and intestinal track. Great article, thanks! Any insights on how safe it is to detox while breastfeeding? I’ve heard some kinds of detox stimulants are okay but others are not. My main concern would be the metals etc being expressed via the breastmilk..? Hello Anna, thanks for the inquiry, I feel that most products have a strict warning not to do any form of detoxification that would expel any toxins and potentially allow them to enter the blood, therefor raising the risk that the baby could become exposed to absorption. I could see how it is possible to use a chelator to safely bond and expel the toxins out of the body without affecting the breastmilk, but I think it would be extremely beneficial to find something along the lines of a peer-reviewed, scientific paper that denounces the possibility of it harming the baby. If it was me I would potentially just wait until the baby has weaned off to start a detoxification – If I happen to come across a paper that suggests safe detox products and states otherwise, I would be happy to send it your way! I would love to hear any info you find during your research as well. Thanks Anna. Well, sounds like it’s a no-no. Parenting, health sites, and chelator-producers all seem to discourage it, saying in some instances that the child can be chelated while breastfeeding, but the mother should wait until after weaning.